Published October 14, 2013 at 1128 × 846 in Motorcycle Photo Gallery. 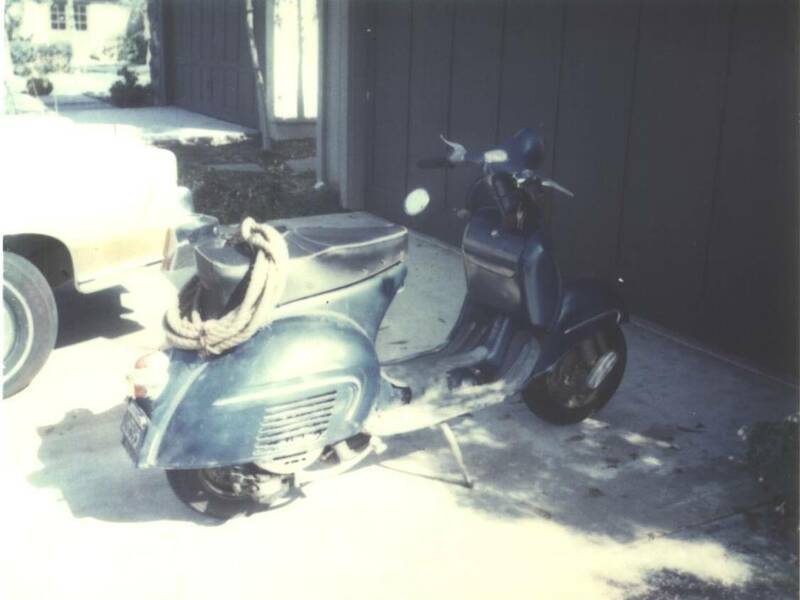 In California, one could ride a motorcycle during daylight hours with just a learners permit, so at 15 1/2 years old I got my permit and bought this Vespa from from brother for $200. It was a 150cc, 2-stroke, top speed of 50mph. The spare tire came in handy. Although kids at high school thought I was a geek riding it, I was really a trend setter. 🙂 I was not too smart about measuring the pre-mix oil precisely and ended up seizing the engine after about a year of riding it.